I admire my autodidact friends who construct very disciplined reading plans. A friend of mine decided to read all 37 Shakespeare plays during 2016, the 400th anniversary year of The Bard’s death. You’ll notice that that’s about a play every ten days, which is doable. Another friend decided to devote a year to the great Russians—Tolstoy, Dostoevski, and Solzhenitsyn. Another guy I know has decided to read at least one biography of every American President. He’s been at it for years and is confident that he will be able to accomplish his goal if God grants him an average life expectancy. So much of my reading is sermon-focused that I’m not usually able to be that disciplined, but this year I used the occasion of the 50th anniversary of the death of Martin Luther King, Jr., to reacquaint myself with the civil rights movement of the 1950’s and 1960’s. 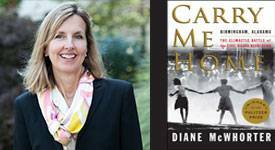 Carry Me Home, by Diane McWhorter, won the 2002 Pulitzer Prize for General Non-Fiction. In 1963, the author was about the same age as the four Sunday School students who were killed in the bombing of Sixteenth Street Baptist Church in Birmingham, Alabama. What sets her account apart is that she writes it from the perspective of a privileged white teenager who is, by her own admission, oblivious to the injustices in her city until long after the campaign was over. 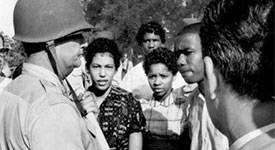 My Father Said Yes, by Dunbar H. Ogden: The author’s father, Dunbar Ogden, was the Presbyterian preacher who led the Little Rock Nine through an angry white mob to the front doors of Central High School on September 4, 1957, where they were turned away by the Arkansas National Guard. The Reverend Ogden was virtually the only white religious leader in Little Rock to get it right on school segregation. The preacher’s son tells us about the impact of that lonely stand on the preacher and his family. 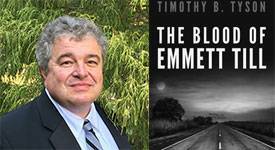 The Blood of Emmett Till, by Timothy B. Tyson: Dr. Tyson, author of the earlier Blood Done Sign My Name, is one of the wisest and most eloquent civil rights historians of our time. This one is about the 14-year-old Chicago kid who was lynched by white supremacists while summering with relatives in the Mississippi Delta in 1955. Emmett’s violent end partly inspired Rosa Parks to stay in her seat on that Montgomery bus later that year. 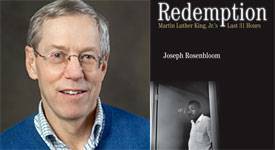 Redemption: Martin Luther King, Jr.’s Last 31 Hours, by Joseph Rosenbloom: The author tells us how Dr. King arrived at the balcony of the Lorraine Motel on April 4, 1968, and also how James Earl Ray, Dr. King’s assassin, ended up with a rifle and a sight-line to that balcony. Did you know that the killer remained at large in Canada and the U.K for two months after the crime? 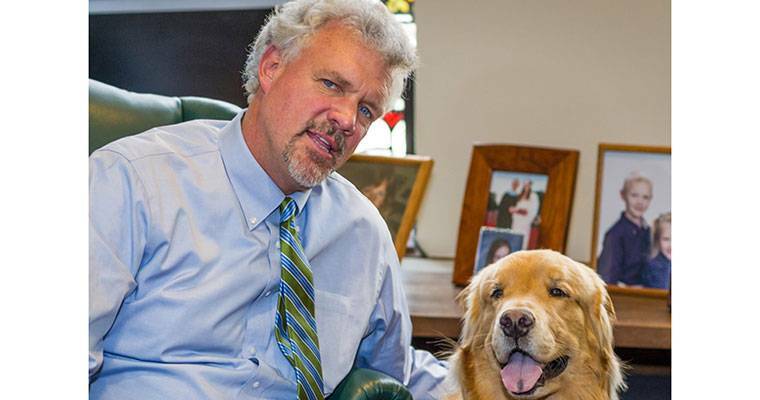 Everything Happens for a Reason and Other Lies I’ve Loved, by Kate Bowler: Dr. Bowler, a Professor at Duke Divinity School with stage four colon cancer, gives us a tutorial on how to care for, and how not to care for, very sick people. Falling Upward, by Richard Rohr: I’m reading this because my wise and faithful friend Roger Winship recommends it enthusiastically. Dr. Rohr says that sometimes our failures and disappointments are our best teachers in life. Only those who have fallen know where ‘up’ is. Roger and I are thinking about using this book in a discussion group this fall. Fire Sermon, by Jamie Quatro, because, well, how many novels have Sermon in the title? Warning: R-rated. In writing about the collision of earthly desires and spiritual longings, the author reminds me of John Updike, our most theologically sophisticated novelist whose carnal frankness is not to everyone’s taste. Future Home of the Living God, by Louise Erdrich, because, again, what a great title, right? And because Ms. Erdrich writes so eloquently about Native American themes. The Friend, by Sigrid Nuñez: The narrator of this novel is a New York writer whose beloved mentor takes his own life and leaves behind his Harlequin Great Dane, the titular ‘Friend.’ Who doesn’t love a good dog story? Social Creature, by Tara Isabella Burton: I don’t know much about this novel, except that it is receiving stellar reviews from trusted critics, and because the author has a Ph.D. in Theology from Oxford University. I always keep a volume of poetry or two on the bookshelf closest to my left shoulder as I sit at my desk. Right now, Billy Collins and Mary Oliver are waiting.